Osaka, a designated city in the Kansai region is the second largest city in Japan. It is the capital city of Osaka Prefecture and the largest component of the Keihanshin Metropolitan Area. 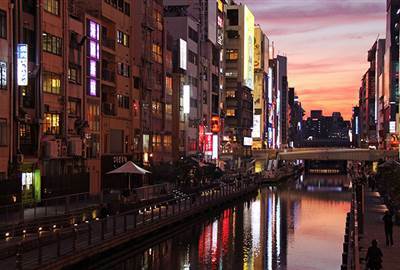 Osaka is a merchant city and is known as the "nation's kitchen." It served as a center for the rice trade during the Edo period. Osaka earned its nickname "Venice of the East" for its network of watercourses and canals spanned by more than a thousand bridges. The city is one of the most modern in Japan, boasting a futuristic skyline and countless impressive examples of modern architecture. It attains a world-class status from its superb museums and art galleries to its ultra-modern entertainment, theater, and music venues. 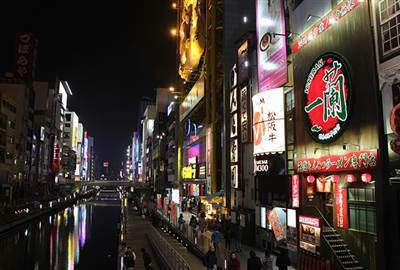 Anyone will find several world class shopping districts and miles of shopping arcades, malls and streets in Osaka. Osaka's shopping is a combination of upscale, brand name and designer goods with inexpensive thrift shops and discount chains. 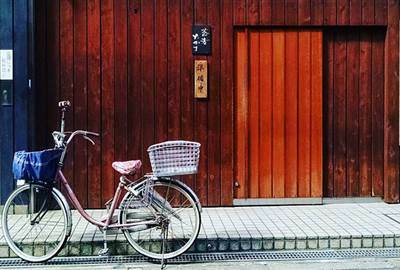 By joining a biking or a walking tour, you'll get to taste the local life in Osaka. 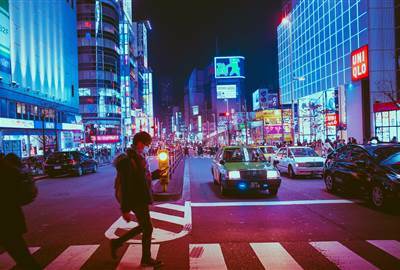 You'll also witness Osaka’s different faces, from bustling business center to historic cultural hub, through the city’s vibrant neighborhoods. Stroll along the lively waterfront, visit the landmarks or get an insight into Japanese cuisine as you explore the city through a guided tour. Cruising is one of the most exciting part of any journey in Osaka. You may sail the picturesque waters of Osaka Bay or cruise through a boat around nearby Nakanoshima lsle. During any cruise, you'll be able to admire seasonal views like colorful autumn leaves or blossoming cherry trees, as well as landmarks around the city. Osaka is known as one of the ultimate food destinations – a city with passionate food lovers and an abundance of things to eat. Entitled the “Kitchen of Japan," every meal at the Japanese city will be a good meal. There are boundless options when dining at Osaka – from street snacks to fast meals at local eateries to a gastronomical display. It is impossible to run out of ideas on what to eat because Osaka will feed you well. Central Osaka is roughly divided into downtown and uptown areas known as Kita (north) and Minami (south). Kita is home to major business and retail hub and a large subterranean network of shopping arcades. Minami, on the other hand, contain a prominent portion of the city's skyscrapers and are often featured in photographs of Osaka's skyline. Osaka contains numerous urban canals and bridge. Osaka numbered roughly 200 bridges by the Edo period and 1629 bridges by 1925. As many of the city's canals were gradually filled in, the number dropped to 872, of which 760 are currently managed by Osaka City. 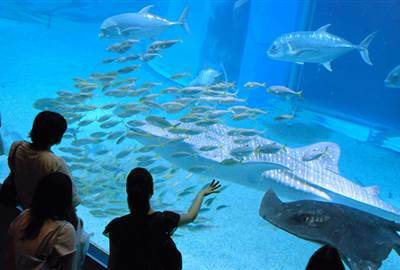 The Osaka Aquarium Kaiyukan, an aquarium located in the ward of Minato in Osaka, Japan, near Osaka Bay; is one of the largest public aquariums in the world. It opened in May 1990 and named the best aquarium in Asia by TripAdvisor. 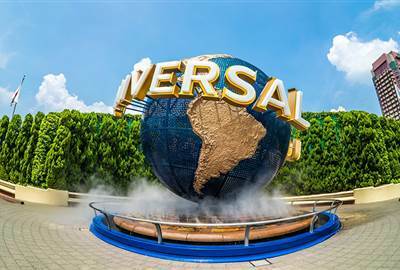 The Universal Studios Japan was a theme park in Osaka which opened on March 31, 2001. Over 11 million guests visited the park in its opening year, making it the world's fastest amusement park to have achieved the 10 million milestones at the time. Since then, the park has had around 8 million visitors every year. 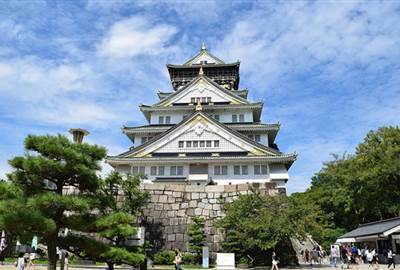 Osaka Castle Park, a public urban park and historical site in Osaka was established on November 6, 1931. This park is the second largest park in the city. 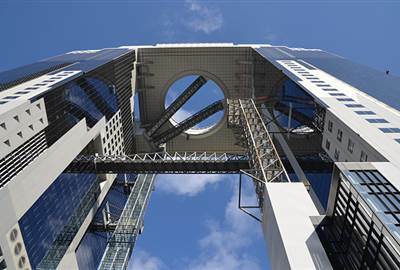 The Umeda Sky Building, the nineteenth-tallest building in Osaka Prefecture, was originally conceived in 1988 and was completed in 1993. 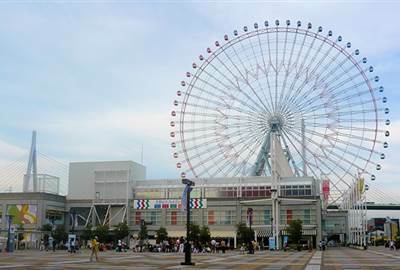 Tempozan Ferris Wheel, a large Ferris wheel which offers beautiful view of Osaka; was constructed in July 21, 1997. The wheel has a height of 112.5 meters and diameter of 100 meters. The wheel has colored lights that provide a weather forecast for the next day. 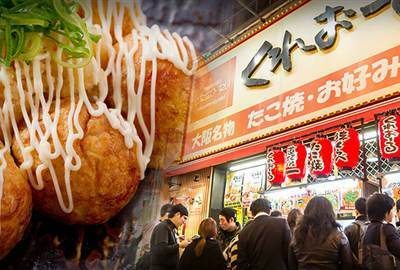 Creo Ru is one of the many takoyaki stalls along Dotonbori area. Creo-Ru first open in February, 1999 in Higashiyodogawa district -Osaka city and now has numerous branches around Osaka. It is considered as one of the most famous takoyaki places. 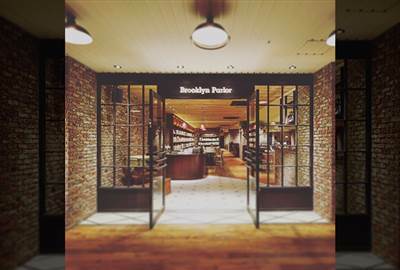 Brooklyn Parlor located in Chuo-ku, Osaka is an American restaurant which opened in 2014 is a space where elements of music, books, and food merge. 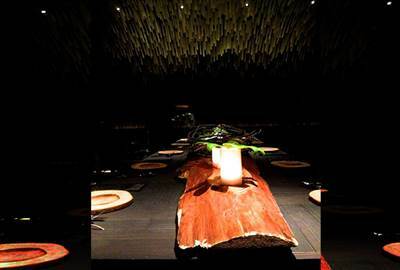 Takama is a Michelin starred soba restaurant offering luxury experiences. 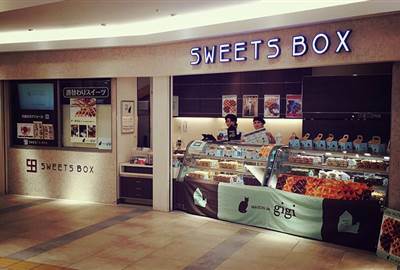 They serve quality soba in a modern and chic interior. They also offer 100% soba which is made only from buckwheat flour, not using any binding agent such as egg or grated yam. If you are looking for tecchiri (a hotpot dish with globefish) at a reasonable price, this is the place to be. Zuboraya uses fresh globefish directly delivered from the fish market in western Japan. When you want a break from shopping in Osaka, Maison de Gigi is the go-to spot. The cafe specializes in waffles which come in flavors like Apple & Cinnamon, Mix Berry, Chocolate Banana and Strawberry. Hajime opened in May 2008. It set record in Michelin history for garnering three stars from the Michelin Guide after only a year and five months. The owner Hajime Yoneda, uses the restaurant as a laboratory for French gastronomy. Dōtonbori is one of the principal tourist destinations in Osaka, Japan which runs along the Dōtonbori canal from Dōtonboribashi Bridge to Nipponbashi Bridge. 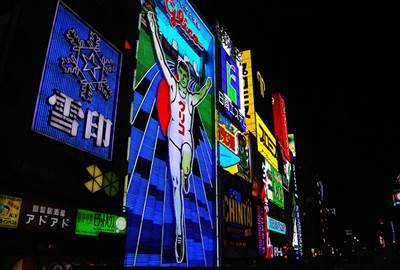 Historically a theater district, it is now the heart of Osaka nightlife filled with theaters, restaurants, cafes, bars, arcades and nightclubs. The city is flourishing with a huge variety of restaurants, from Michelin starred luxury dining to budget Takoyaki and Okonomiyaki restaurants. 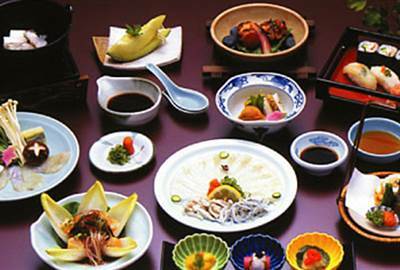 Cafes, local eateries, ramen parlors, sushi bars, exquisite dining in aristocratic ryoteis – Osaka, the Kitchen of Japan has it.